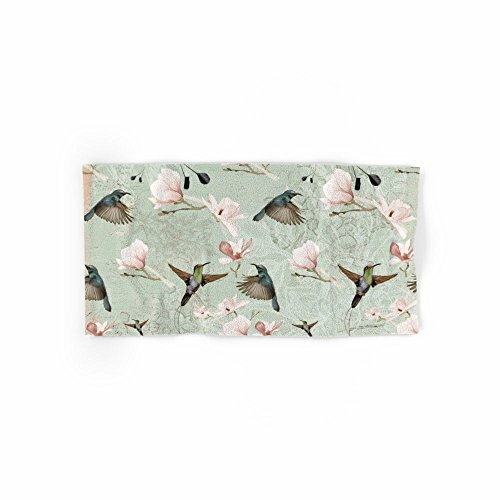 Society6 Vintage Watercolor Hummingbird And Magnolia Flowers On Mint Background Hand Towel 30"x15"
Society6 Vintage Watercolor Hummingbird And Magnolia Flowers On Mint Background Hand Towel by UtArt. Make your reflection jealous with this artist-designed Bath Towel. The soft polyester-microfiber front and cotton terry back are perfect for, well, drying your front and back. This design is also available as a hand and beach towel. Machine washable. Make your reflection jealous with this artist-designed Bath Towel. The soft polyester-microfiber front and cotton terry back are perfect for, well, drying your front and back. Machine washable. Towel Dimensions: Hand Towel 30"x15", Bath Towel 64"x32". View More In Hand Towels. Society6 Pugs Burger Hand Towel 30"x15"